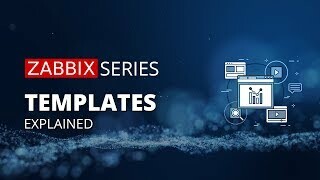 Use of templates is an excellent way of making maintenance of Zabbix much easier. 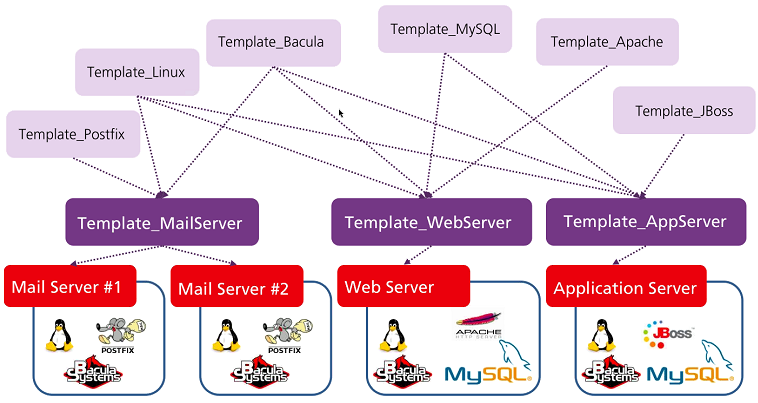 A set of entities (items, triggers, graphs, applications, screens, discovery rules and web scenarios) can be assigned to a template, allowing efficient management of thousands of devices. A template can be linked to a number of hosts. All items, triggers and graphs of the template will be automatically added to the linked hosts. Change definition of a template entity (item, trigger, graph, etc.) and the change will automatically apply to all of the hosts. Templte nesting is a way of one template encompassing one or more other templates. 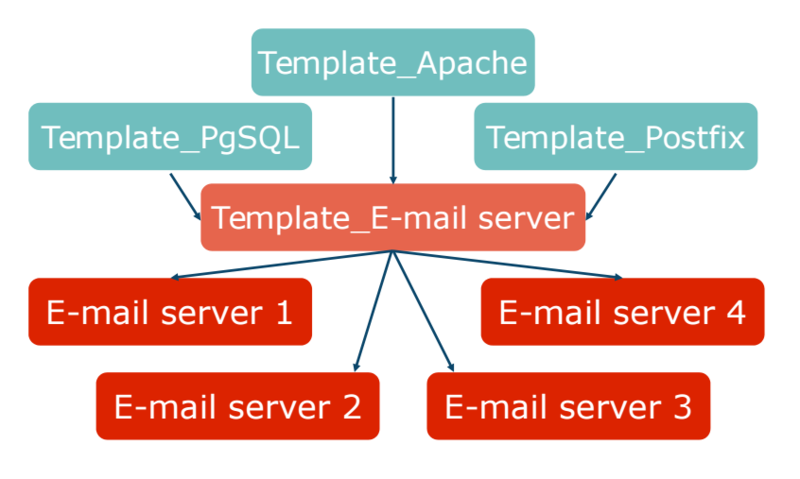 The benefit of nesting is that then you have to link only the one template to the host and the host will inherit all entities of the linked templates automatically. Zabbix Import/Export functionality enables effective exchange of configuration entities between systems. Use of the XML format allows to integrate Zabbix with third party tools and applications and to import/export data. This functionality applies to three main categories of configuration: hosts and their associated data, network maps and screens. All connectors with associated data, including labels and status indicators. Zabbix screen import/export supports all screen elements.